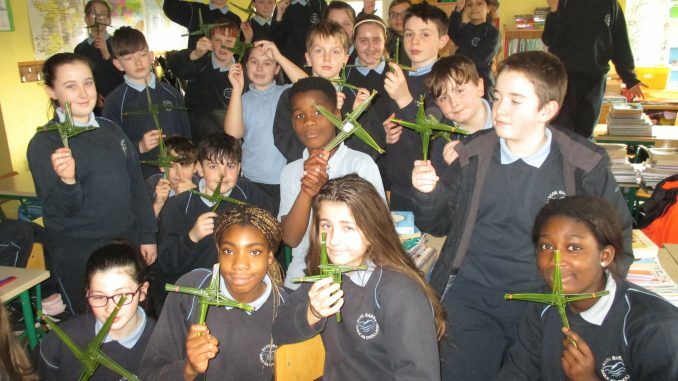 To celebrate St. Brigid’s day in 6th class, we made St. Brigid’s Crosses out of rushes. St. Brigid is the patron saint of farmers and fishermen. St. Brigid was a girl who asked the King of Leinster for land to build a church. He said he would give her the amount of land her cloak could cover. She put her cloak down and it grew and grew until she had to right amount. We had a lot of fun learning about her.